To our generous clients for remembering us with Christmas goodies, we want you to know how much we apprecia te your thoughtfulness. At the rate we’re going we won’t have to drive home from the office this week – we can just roll home! We are truly blessed to have so many faithful, loyal owners, repeat customers, and new customers. Thank you again for all the delicious treats. 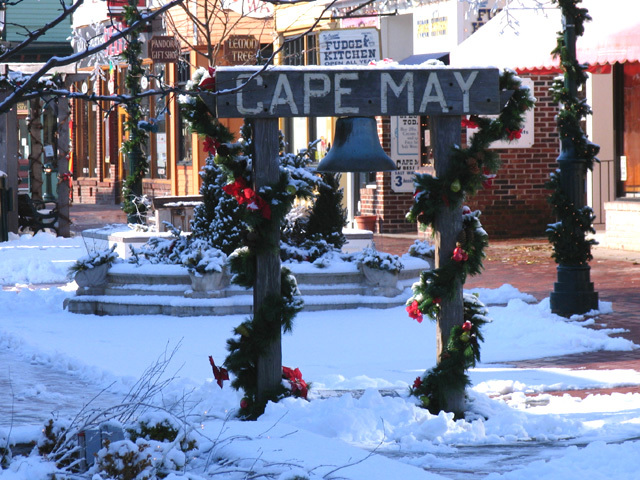 Alth ough our office closes from 1:00 PM on December 23rd to 9:00 AM January 2nd, our rental elves are working hard getting everything set up to accept online bookings over the holiday break for Cape May Rentals. Our state of the art website allows you to reserve online 24 hours a day, 7 days a week. For our new guests just a reminder that there is a $75.00 non refundable processing fee with your reservation. All online reservations for Cape May Rentals will be processed when the office reopens January 2nd, but be assured that your selected vacation week will be held. Next Next post: Merry Christmas & Happy Holidays to You!